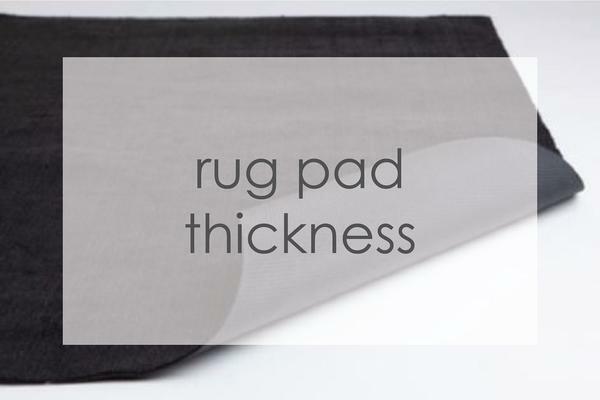 Ruggable uses patented Cling Effect™ Technology to keep the cover attached to the rug pad. The underside of the cover grips to the top surface of the rug pad (think about how Velcro® works to keep materials together). The nonslip rug pad acts as a solid foundation for the cover. It has a nonslip backing and provides cushion & thickness (1/8" thick). How thick is the rug pad? Our standard woven rug set is about 1/4" thick when the cover & pad are assembled together. It was designed to provide cushion without excess heaviness or clunkiness and to give clearance for opening a door without catching it on the rug. The pad by itself is slightly thicker than 1/8" and the cover has a thickness and weight similar to a blanket. 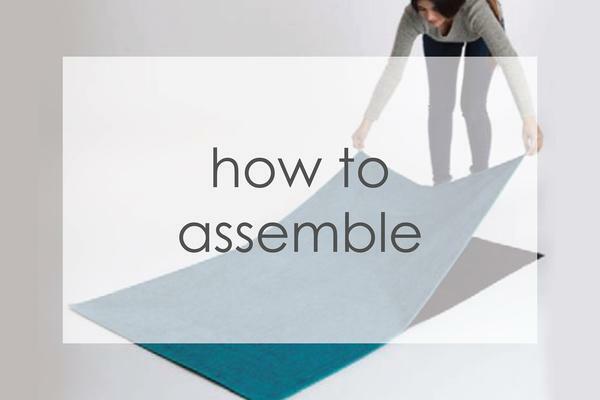 The easiest way to assemble the rug is to start by getting edge on straight. Take the time to line the cover up evenly on one of the short side's of the rug so there is about 1/2 inch overhang on all 3 sides (left, top and right). Once that short side is on straight, press the cover down along the edge so that it clings well, then lift the rest of the cover and back up to lay the rest of the cover down evenly and effortlessly. Watch the video below for a visual demonstration. Our woven covers are 100% polyester (the top of the cover is made of woven polyester chenille style yarn and the bottom is a polyester knit). 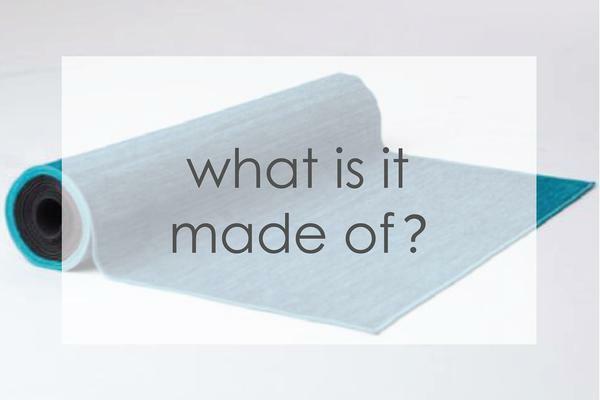 The two layers of fabric are bonded together with a nontoxic glue also made of 100% polyester. This makes it possible to recycle the cover because it is all made of the same synthetic material. Our shag covers are made of modacrylic, a synthetic fiber with natural flame resistance. We do not add flame resistant chemicals to any of our products, mainly because they are toxic, but also because they would wash out after repeated washings. Instead, we use materials that naturally meet or exceed flame resistant testing standards. How can I fit an 8x10 rug in the home washing machine? You only put the cover in the home washing machine. Once the cover is removed from the rug pad, it is no larger than a large blanket. Think about how you can wash a fitted sheet or blanket of a king sized bed once it's removed from the mattress. The pad can also be thoroughly cleaned but not in the washing machine (see care instructions). Will the cover continue to cling to the rug pad after several washings? 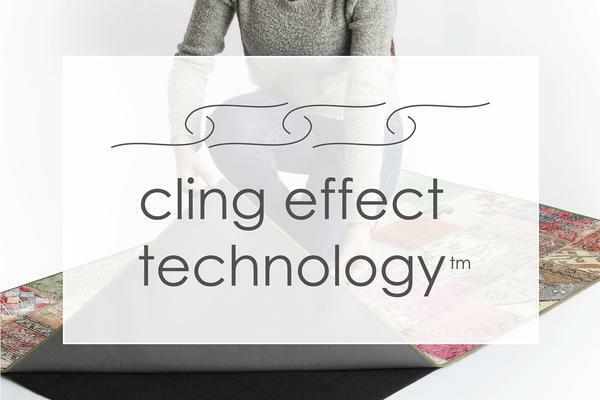 Yes, the strength of the Cling Effect™ does not wear off over time. Even after several washings, the cover will continue to grip like it did the first time. Is this a good product if you have pets? Of course! The idea came to our founder when her dog had an accident on her new area rug. She tried every miracle cleaner and remedy she could find, but the odor was trapped deep in the carpet fibers of the rug. With Ruggable rugs, you can thoroughly clean both the cover and the pad (see care instructions) and rinse away stains and odors - not to mention all the hair, dirt, slobber and scooting! What happens if my pet urinates on the rug and it goes through the cover and gets in the rug pad? If this happens, you can choose to spot treat the rug pad temporarily by spraying a household cleaner directly on rug pad, or to thoroughly clean it, saturate the rug pad with warm soapy water and rinse it with clean water and then hang it to dry. This is not convenient if your pet has frequent accidents, but for the occasional accident, it's an excellent solution. You can completely get rid of the odor and you don't have to worry about your rug being ruined. Is this a good product if you have allergies? Yes, when you wash/dry the cover in the home washing machine, it will help remove dirt, dust & dander. The rug pad can also be thoroughly cleaned (see care instructions) or easily lifted to clean under the rug where excess dust can accumulate. Is the shag material like a sheepskin? No, it's not as thick or as dense as a sheepskin. It's more similar in style to a Flokati rug. The fiber is sometimes referred to as faux mohair, or faux mongolian sheep hair. Is the nonslip rug pad safe for hardwood floors? We always recommend checking with the manufacturer of your flooring, but generally speaking, our latex-free TPR backing material has passed all flooring tests and does not stain or leave residue hard surface floors or vinyl. Can I use a Ruggable rug over carpet? Our rug system is not heavy and was designed for hard surface floors which keeps the rug in place. 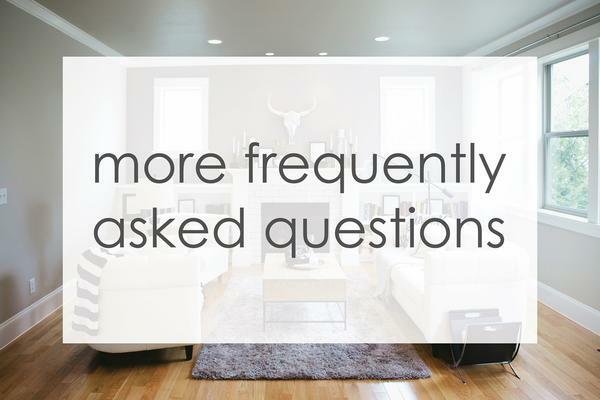 When placed over carpet, especially carpet that is thick and plush, it will not be heavy enough to stay in place. Some people use them over low pile carpet or on carpet but under a table to keep it anchored. For example, we don't recommend using a Ruggable runner over carpet in a hallway with nothing to hold it in place. Can I use a Ruggable outside or in a bathroom? Yes, our rugs can be used outside or in wet areas like the bathroom. The covers and rug pad are made of 100% polyester which is a synthetic fiber that does not absorb or trap liquid. It will not mildew and you can wash away dirt and odor. When the rug is completely saturated with water after heavy rain or a leaky shower, we recommend separating the cover and the rug pad and hanging both to dry.